Reklamefernsehen: As promised. 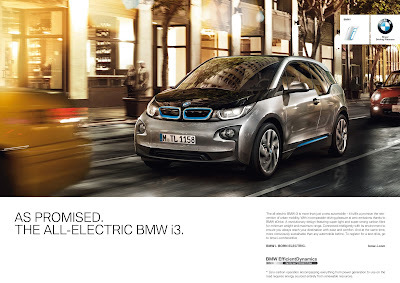 The all-electric BMW i3. As promised. The all-electric BMW i3. 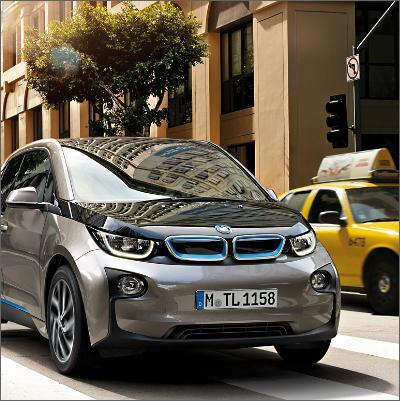 Redefining urban mobility means thinking far beyond environmentally conscious and agile driving. 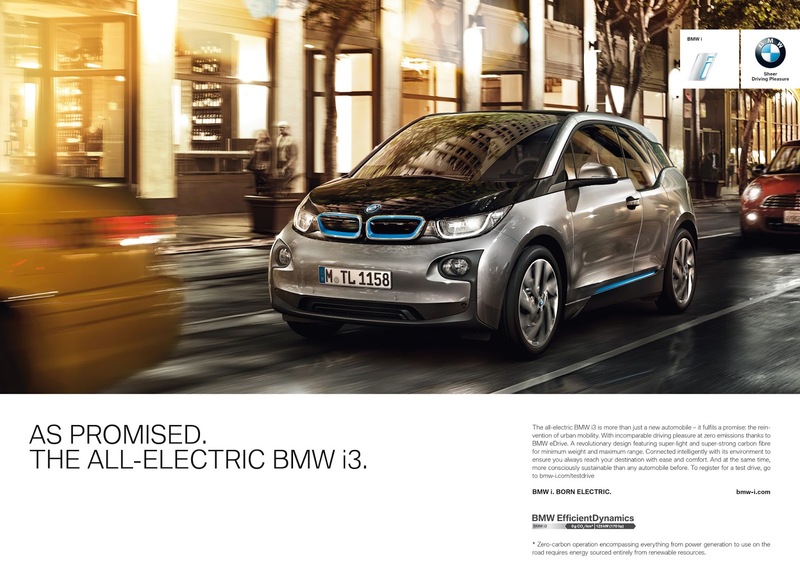 The result: With its visionary design, the all-electric BMW i3 design defines the automobile of tomorrow. 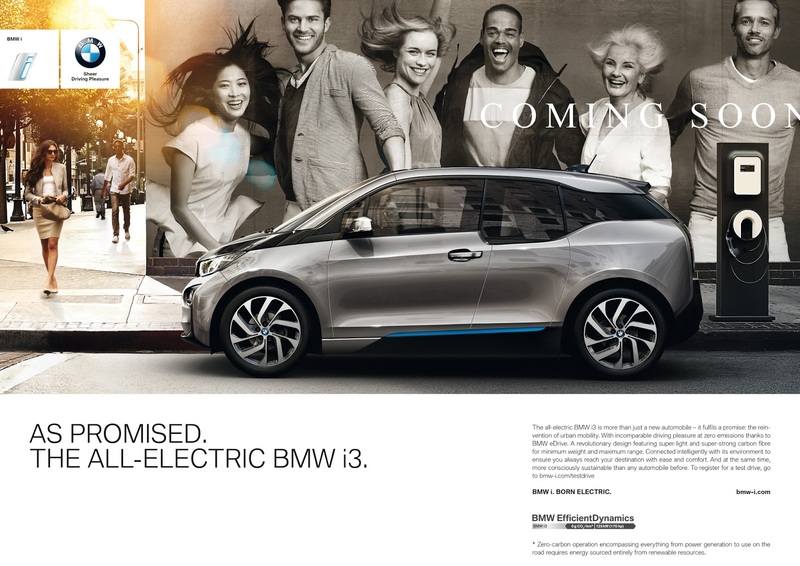 Within the 360° ELECTRIC portfolio, BMW i groups a wide range of innovative products and services that make electric driving a comfortable experience and a daily pleasure: from simple home charging and the ease of using a continually expanding network of charging stations to networked navigation and the option of using conventional cars for vacation trips with BMW Add-on Mobility. 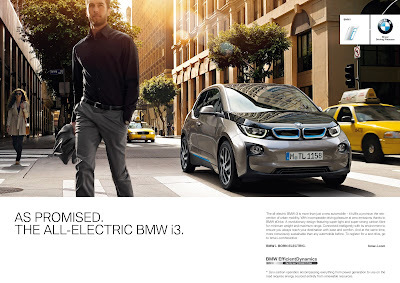 Its innovative eDrive transmission was designed in the scope of the BMW EfficientDynamics technology and is not only emission-free, but also offers an incomparable and nearly silent driving experience. The intelligent ConnectedDrive Services bring you conveniently to your destination. It's time to learn a new german word: Vorfreude.